If you’re one of the lucky people that will be heading to the Tokyo Game Show this September, Sony has a treat for you. Apparently, they will have over ten games to play on the PlayStation 4! There will also be games to play for the PlayStation 3 and the newly price reduced Vita. The games that are known to be playable as of this moment for the PS4 are Knack, Deep Down, Driveclub, Killzone: Shadow Fall, Wolfenstein: The New Order, PlayRoom and Assassin’s Creed 4: Black Flag. That still leaves a few games unannounced and we hope maybe they are new titles, but no one knows for sure yet. It will be exciting to get some hands-on reports of these games since none of these were playable at E3 in June. 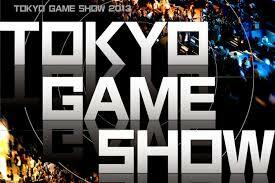 SCEAJ will also have a keynote at TGS and it is entitled “The Creative World of PlayStation 4”. All this will be taking place in Tokyo, Japan on September 19th. From the looks of it, Sony looks ready to make another strong push into the coming console war.